The goal of computer vision is for computers to be able to understand the visual world the way people do. Computers have been able to take and store pictures for decades, but they haven't been able to know what is in a photo—what objects and people are in it, what is going on, and what is about to happen. People do this automatically, almost instantly, and we think nothing of it. It's really hard for a computer. But computer vision is changing that, and the field has made huge progress in the last few years. The challenge of the computer vision work we're doing with IN3—and with a lot of real-world problems—is that it requires very fine-grain analysis. We're not trying to distinguish cats from dogs or cars from pedestrians; we're trying to find very subtle differences in integrated circuits that might signal a problem. That's really the challenge: to bring techniques that have been successful in the last few years in consumer photography to this new field that has unique challenges. Electronic devices and integrated circuits are manufactured in plants throughout the world. They traverse a complicated supply chain to get between where they're manufactured and where they're placed into devices. A lot can go wrong in that process. 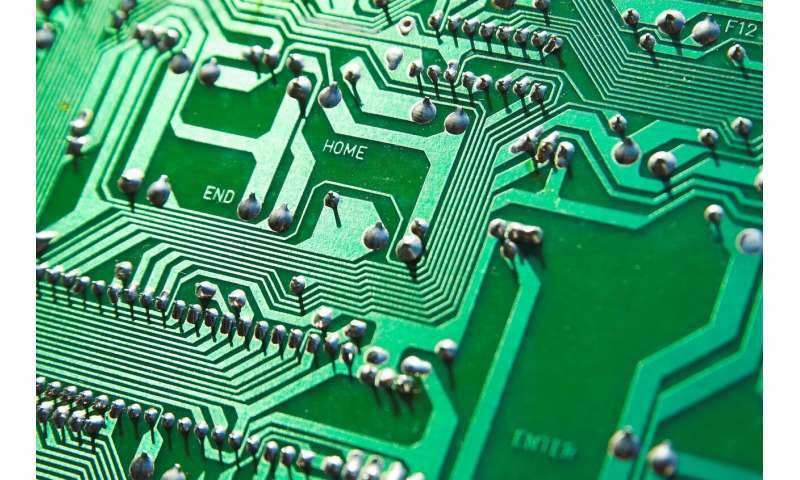 Integrated circuits can be swapped or replaced for various reasons—people wanting to make a bit of a profit by substituting a cheaper device for one that's more expensive, or for more nefarious reasons like hacking. We want to ensure the integrity of the integrated circuits so that the devices built out of them do what they are supposed to do. The problem is really important. Modern society depends on the safe, secure, reliable operation of digital devices. If they can't be trusted, that rips apart a lot of what our society is based on. We—researchers in the state of Indiana—are in a unique position to attack this problem because of Purdue's expertise in microelectronics; Naval Surface Warfare Center Crane's capabilities; and IU's expertise with chemistry, machine learning and engineering. We're in the right place at the right time to have a real impact on this problem. Recently discovered implantation of data-collecting and disguised, micro-sized electronic entities reveal the lengths a political opponent will go. This might hurt their attempt to sabotage networks presumed to be invulnerable.